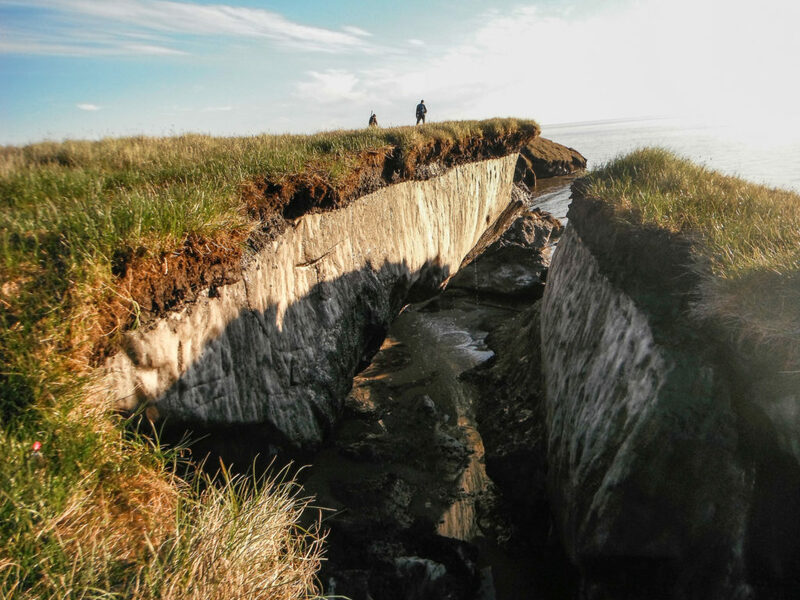 A lesser known consequence of climate change is the thawing of permafrost soils that had been frozen solid for thousands of years. As these soils melt, ancient viruses and bacteria that had essentially been frozen in time are being released back into the environment. In August, 2016, in the Yamal Peninsula in the Arctic Circle, a 12-year-old boy died and at least twenty others were hospitalized after being infected by anthrax. According to the theory, more than 75 years ago, a reindeer infected with anthrax died and its frozen carcass became trapped under a layer of frozen soil or permafrost. It remained there until a heatwave in 2016 thawed the permafrost. The exposed corpse released infectious anthrax into nearby water and soil, and eventually the food supply, where it infected other reindeer and humans. More than one million reindeer died from anthrax in the 20th century alone and those carcasses are buried close to the surface, scattered among 7,000 burial grounds in northern Russia. But the big fear is what else is lurking beneath the frozen soil. Scientists have discovered fragments of RNA from the 1918 Spanish flu virus in corpses buried in mass graves in Alaska’s tundra. Smallpox and the bubonic plague are also likely buried in Siberia. Since temperatures in the Arctic Circle are rising about three times faster than in the rest of the world, these and many other infectious diseases may be brought back to life. Photo, posted January 24, 2014, courtesy of the U.S. Geological Survey via Flickr. ‘Dangerous Diseases from the Past’ from Earth Wise is a production of WAMC Northeast Public Radio.